IdeaHub company members work on real projects from engineering practice in the field of research, development and application of innovative technologies. Projects are realized in our prototype workshop in cooperation with partners. 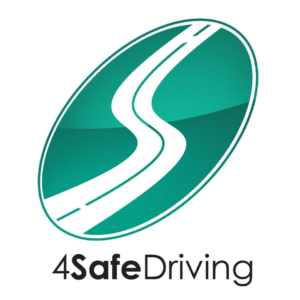 4SafeDriving is a security emergency call system for motorcycle riders. In case of accident it automatically calls help and can save the life of motorcycle rider. It allows emergency calls to 112 in case of accident, but also ensures security and locating of the motorcycle. This project offers unusable material from the production for another use to other commercial subjects. There is a plenty of waste material produced during production, which is no longer usable for company (various snipping, leftovers, unused inventory etc.). However, this material can often come in handy for other purposes to other manufacturers. The project aims to establish a link between supply and demand of such material and thus eliminate waste generated during production. 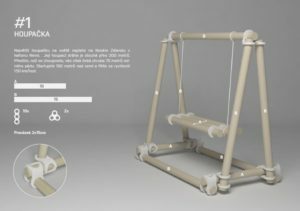 CreoKit is a creative wooden kit for children 5+, which uses 8 mm diameter wooden sticks (originally archery arrows), rubber and magnetic couplings and a cutting tool for splitting sticks as the main building element. The goal is to build constructions according to the instructions or according to your own imagination. It is possible in a simple and safe way to divide the wood semi-finished products to the required length and combine the couplings in different ways. The goal is to give second life unnecessary things and use them to develop creative thinking, fantasy and technical sentiment. It motivates us to use waste disposal and promote technical education. We also see a great potential in expanding the kits with other modules and parts (similar waste is a wide range and can be used in every way).